TD Bank Group has set out how it plans to build “the better bank” in its 2015 corporate responsibility report. Among the highlights for the past year; TD became the first commercial bank in Canada to issue a green bond; a 52 per cent increase in women in executive leadership positions from 2005-2014; and raising financial awareness with an education program for 294,000 participants sponsored by the mortgage lender. TD’s Terrie Currie noted: "We recognize that our employees, customers and communities have high expectations of TD and this report demonstrates how we embed corporate responsibility throughout our business." 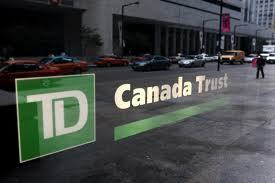 For TD, being a better bank is not a very high bar to jump. TD should spend some time teaching their staff about their mortgage product. I am starting to see the results of the lack of disclosure of the issues at maturity re the change in 2011. I am expecting a tsunami in 2016. TD has done some very positive things particularly in their outreach to many diverse communities in their hiring, staff promotion and media advertising but there is a real question mark about behind the scenes policies. The universal collateral charge mortgage with such limited disclosure is one and their CEO leading the fight not to drop prime a full quarter point after the BOC change is another. There is a certain lack of congruency when it come to building a better bank.